ENCO Shipping portfolio of value added services includes palletization of export consignments. 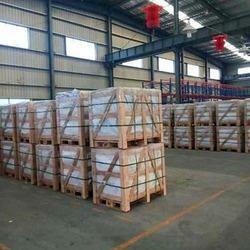 The palletization services are designed for safe loading and unloading of products. We provide wooden pallets fumigation with methyl bromide at the dosage with the dosage recommended by ministry of agriculture. Our expert technician performs the wooden pallets fumigation in air tight enclosure for best effectiveness of methyl bromide. We provide the best effective fumigation as per the standards of government of India. ISPM 15 requires that all international ocean freight shipments using any species of raw wood packaging must be fumigated or heat treated to kill insects or fungus and get certified, before international ocean freight is allowed entry or crossing through a participating country.